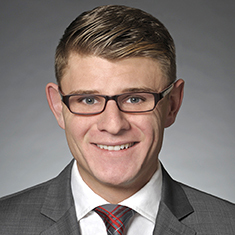 Matthew Haws' practice involves a wide array of litigation, enforcement proceedings, internal investigations, arbitrations and regulatory actions with a focus on the financial services industry. His experience with financial services and securities litigation includes individual and derivative suits alleging violations of state and federal securities laws, internal and regulatory investigations, and enforcement proceedings by the Securities and Exchange Commission (SEC), Commodity Futures Trading Commission (CFTC) and self-regulatory bodies. Matthew also regularly represents broker-dealers and futures commission merchants in civil suits by receivers and individual investors. Shown below is a selection of J Matthew’s engagements.